Well the first stage of online registration was a great success and have to give a huge thank you to Konig Media for helping us get this set up for the Slam Down this year. Have to say his patients with my computer knowledge has been great. 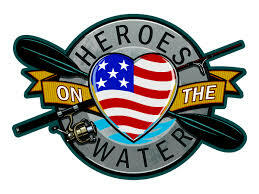 With less then a month to go until this years CSDIII lets keep the work out there about this event and come out to support Heros on the Water and we can help get another soldier on the water. Jim Dolan from Heros on the Water sent me this quick video and really want to share with you all. Until next time, make sure to check back frequently I will update this with Captains meeting info that all anglers signed up for the event will also receive via email.